Our synagogue is a home for anyone looking for a warm and spiritual place to grow in their Judaism. At The Family Shul, everybody feels at home! 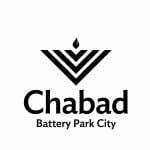 Adults will enjoy an enjoyable explanatory Shabbat Service along with the weekly Torah Reading, and the children will enjoy a unique program that will include their own prayer service, games and activities. Following the services everyone will enjoy a delicious Shabbat Kiddush.